The blogsophere exploded today as word spread of the death of the father of Gonzo journalism, Hunter S. Thompson. "I know it is not very modern or PC to admire excess in the fashion he pioneered, and I am heartily tired of drugs claiming the best and the brightest, but there is a tiny part of me that is envious to have missed that decade. He was a legend, he was one-of-a-kind, he was influential on several generations and will likely continue to be. It is so very sad that he could not tame his internal demons and that they won the battle, and it is sad he is no longer on the planet." 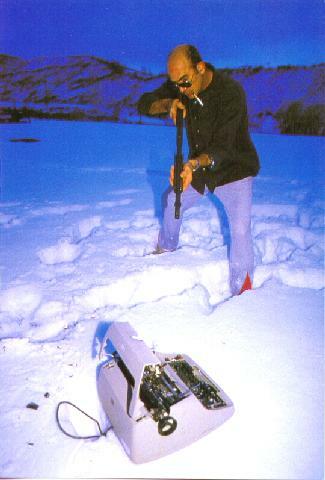 Hunter was known to blowup and shoot things with his shotgun -- like balky typewriters and surveillance cameras. 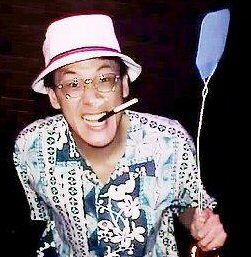 "Hunter S. Thompson was responsible for some of the finest literature in the second half of the twentieth century and it is imperative that this legacy, rather than his drugs of choice become his true epitaph. Hunter was the first author that wrote in a way that was not only entertaining but was brutally insightful, sometimes to a fault and with a depth and passion that could only come from someone with The Gift. Not only that, to me Hunter made literature "cool" something that not even my best English teacher could manage." "I was surprised at how affected I was at this news, seeing it on the front page of the newspaper this morning. HST inspired me to do many crazy things as a young man, and inspired me to write. He revealed the man behind the curtain in the sausage factory which passes for journalism in NorthAm. For the last decade he has been a puppet show, yet a potent reminder at how irrelevant journalism has become, a plastic shell which seems to convey information, like settling for the mask is enough." 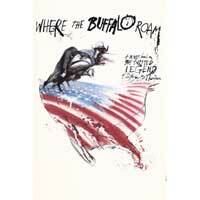 HST: "The question is - "Where The Buffalo Roams" - what I thought of Neil. That's like asking me what I think of Doonesbury! ... It was a bad script, a silly film. I never have seen the finished version. " Q: "What about Neil Young?" HST: "I never got to Neil. I like Neil Young. I really ... he's one of us. But, I didn't like the ... I'm not sure we even got Neil Young to do that, and play music. I'll defend Neil Young to the death, for his right to do anything he wants - but not in my backyard!" "Or the paranoia got to him — in paranoia you are your own worst enemy, and that’s a tightening circle that nobody can escape, except, say, by suicide. Or it was pain and depression brought on by reported back surgery, a broken leg and a hip replacement. Or he was playing out the last moves of the Hemingway game — the paranoid, shock-treated Hemingway who ended up with his doctor one day, crying because he said that he couldn’t write anymore, he just couldn’t write. Or America has finally become what he said it was, with lie-awake fears of suitcase nukes, jails full of secret uncharged prisoners with no legal recourse, and quiet applause for the recreational torture of Arabs in Iraq. Or people have stopped reading, and there are no more literary heroes. Or maybe he just killed himself, like a number of other people on any given day. He lived on his terms, he died on his own terms." 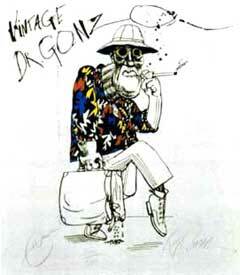 And who can forget the demented images of Ralph Steadman? Steadman's artwork provided confirmation that the reader had entered the world of insanity with just a single glance at his unique trademark style. "I had never met Hunter when the book that established him as a literary figure, "The Hell's Angels, a Strange and Terrible Saga," was published in 1967. It was brilliant investigative journalism of the hazardous sort, written in a style and a voice no one had ever seen or heard before. The book revealed that he had been present at a party for the Hell's Angels given by Ken Kesey and his hippie--at the time the term was not "hippie' but "acid-head"--commune, the Merry Pranksters. The party would be a key scene in a book I was writing, (The Electric Kool-Aid Acid Test). I cold-called Hunter in California, and he generously gave me not only his recollections but also the audiotapes he had recorded at that first famous alliance of the hippies and "outlaw" motorcycle gangs, a strange and terrible saga in itself, culminating in the Rolling Stones band hiring the Angels as security guards for a concert in Altamont, Calif., and the "security guards" beating a spectator to death with pool cues." "There's no one in the world these days who writes the truth ... as he seems to, to me. He spoke to the world and said what people were afraid to say." Lastly, Vinyl Mine has a MP3 download in Hunter's memory of a Neil Young cover of 'Expecting To Fly' by Sonya Hunter. How about how accurate he was in laying out where we're at as a country? Wheather you liked what he wrote towards the end or mot reread it and tell me where he was wrong!